Cinema 1 is back on 11137.00MHz, pol.H SR:27500 FEC:5/6 SID:2703 after a break ( PID:36/35 - BetaCrypt). Orbit Showtime Network: Cinema 1 (Bahrain Emirates) is now transmitted Free To Air (11055.00MHz, pol.H SR:27500 FEC:2/3 SID:2703 PID:36/35). New FEC for Cinema 1 on 10891.80MHz, pol.H: FEC:5/6 ( SR:27500 SID:10 PID:528/1296 - Clear). A new channel has started in DVB-S Clear: Cinema 1 (Bahrain Emirates) on 10891.80MHz, pol.H SR:27500 FEC:3/4 SID:10 PID:528/1296. A new channel has started in DVB-S Clear: Cinema 1 (Bahrain Emirates) on 11137.00MHz, pol.H SR:27500 FEC:5/6 SID:24 PID:548/1316 Arabic. Orbit Showtime Network: Cinema 1 has left 11372.69MHz, pol.H (DVB-S2 SID:4503 PID:203[MPEG-4]/303 Arabic), it is no longer transmitted by satellite in Europe. Cinema 1 is now encrypted in BISS (12640.00MHz, pol.V SR:15000 FEC:3/4 SID:2703 PID:36/35 Arabic English). Cinema 1 (Bahrain Emirates) is now transmitted Free To Air (12640.00MHz, pol.V SR:15000 FEC:3/4 SID:2703 PID:36/35 Arabic English). A new channel has started in DVB-S2 BISS: Cinema 1 (Bahrain Emirates) on 12640.00MHz, pol.V SR:15000 FEC:3/4 SID:2703 PID:36/35 Arabic English. Cinema 1 switched to Eutelsat 7 West A satellite at 11373.00MHz, pol.H (DVB-S2 , 11373.00MHz, pol.H SR:27500 FEC:2/3 PID:203[MPEG-4]/303 Arabic). Cinema 1 switched to DVB-S2 at 11373.00MHz, pol.H SR:27500 FEC:5/6 PID:203/303 Arabic. Cinema 1 is now encrypted in BISS (11653.00MHz, pol.V SR:15000 FEC:3/4 SID:2703 PID:36/35 Arabic English). A new channel has started in DVB-S2 Clear: Cinema 1 (Bahrain Emirates) on 11653.00MHz, pol.V SR:15000 FEC:3/4 SID:2703 PID:36/35 Arabic English. Orbit: New SID for Cinema 1 on 11178.00MHz, pol.H FEC:3/4 SR:27500: SID:8 ( PID:368/369 Arabic - Mediaguard 2). Orbit: New frequency for Cinema 1: 11178.00MHz, pol.H (DVB-S SR:27500 FEC:3/4 SID:17 PID:784/785 Arabic- Irdeto 2 & Mediaguard 2). Orbit: A new channel has started in DVB-S Irdeto 2 & Mediaguard 2: Cinema 1 (Bahrain Emirates) on 11373.00MHz, pol.H SR:27500 FEC:3/4 SID:5504 PID:204/304 Arabic. Orbit: Cinema 1 (Bahrain Emirates) broadcasts in DVB-S Conax on 11046.00MHz, pol.H SR:12667 FEC:3/4 SID:17 PID:784/785 Arabic. Orbit: A new channel has started in DVB-S Conax & Mediaguard 2: Cinema 1 (Bahrain Emirates) on 11407.00MHz, pol.V SR:27500 FEC:3/4 SID:17 PID:784/785 Arabic. Orbit: New frequency for Cinema 1: 11057.00MHz, pol.H (DVB-S SR:27500 FEC:3/4 SID:17 PID:784/785 Arabic- Conax & Mediaguard 2). Orbit: New frequency for Cinema 1: 10974.00MHz, pol.H (DVB-S SR:27500 FEC:3/4 SID:17 PID:784/785 Arabic- Irdeto 2 & Mediaguard 2). Orbit: Cinema 1 is back on 12073.00MHz, pol.H SR:27500 FEC:3/4 SID:17 after a break ( PID:784/785 Arabic - Mediaguard 2). Orbit: Cinema 1 (Bahrain Emirates) broadcasts in DVB-S Mediaguard 2 on 10873.00MHz, pol.V SR:27500 FEC:3/4 SID:17 PID:784/785 Arabic. Orbit: Cinema 1 is back on 12073.00MHz, pol.H SR:27500 FEC:3/4 SID:17 after a break ( PID:784/785 English - Mediaguard 2). Orbit: New frequency for Cinema 1: 11681.00MHz, pol.H (DVB-S SR:27500 FEC:3/4 SID:17 PID:784/785 Arabic- Mediaguard 2). Orbit: New frequency for Cinema 1: 12073.00MHz, pol.H (DVB-S SR:27500 FEC:3/4 SID:17 PID:784/785 Arabic- Mediaguard 2). 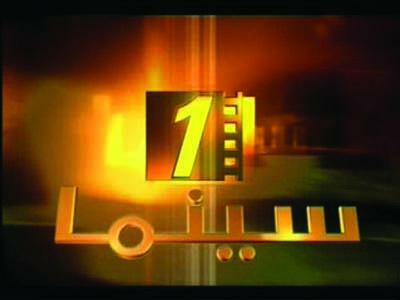 Orbit: New frequency for Cinema 1: 11057.00MHz, pol.H (DVB-S SR:27500 FEC:3/4 SID:17 PID:784/785 Arabic- Mediaguard 2). Orbit: A new channel has started in DVB-S Mediaguard 2: Cinema 1 (Bahrain Emirates) on 10974.00MHz, pol.H SR:27500 FEC:3/4 SID:1 PID:256/257 Arabic. Orbit: New PID for Cinema 1: PID:264/266 Arabic SID:1 (11938.00MHz, pol.V SR:27500 FEC:3/4 - Mediaguard 2). Orbit: New PID for Cinema 1: PID:265/270 Arabic SID:1 (11938.00MHz, pol.V SR:27500 FEC:3/4 - Mediaguard 2). Orbit: A new channel has started in DVB-S Mediaguard 2: Cinema 1 (Bahrain Emirates) on 12608.00MHz, pol.V SR:27500 FEC:1/2 SID:1 PID:256/257 Arabic. Orbit: New SR for Cinema 1 on 11938.00MHz, pol.V: SR:27500 ( FEC:3/4 SID:1 PID:256/257 Arabic - Mediaguard 2). Orbit: A new channel has started in DVB-S Mediaguard 2: Cinema 1 (Bahrain Emirates) on 11944.00MHz, pol.V SR:12000 FEC:3/4 SID:1 PID:256/257 Arabic.